The San Diego Film Critics Society held their annual awards voting on Monday, December 11, 2017, and it turned out the So. 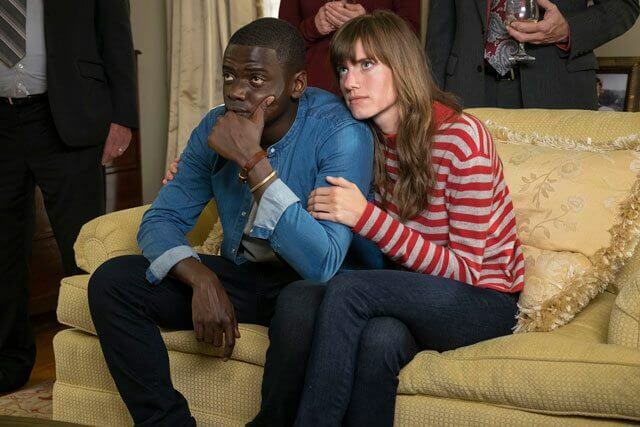 California group of critics chose Jordan Peele’s Get Out (which is definitely not a comedy, even if the Golden Globes consider it to be one) as the year’s Best Picture winner. The biting drama/horror film also earned Jordan Peele the Best Original Screenplay award. Lady Bird was a double winner, taking home Best Director (Greta Gerwig) and Best Supporting Actress (Laurie Metcalf). Writer/director Edgar Wright’s R-rated action thriller, Baby Driver, was also recognized with two wins: one for Best Editing (Jonathan Amos & Paul Machliss) and one in the Best Use of Music category. Michael Stuhlbarg was recognized for a year of delivering outstanding performances in three dramatically different films (The Post, Call Me By Your Name, and The Shape of Water). And, Call Me By Your Name‘s Timothée Chalamet was the winner of this year’s Breakthrough Artist award for his incredible performance in that film as well as his supporting roles in Lady Bird and Hostiles.